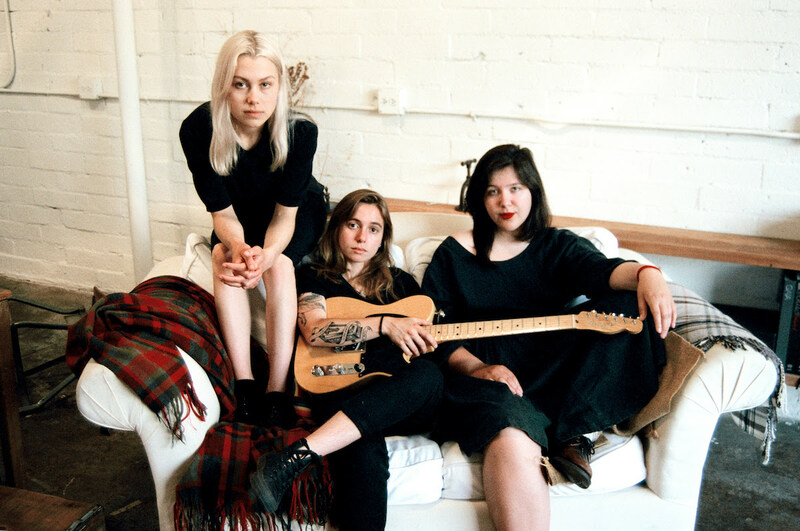 The rumors are true: boygenius, the band of Julien Baker, Phoebe Bridgers, and Lucy Dacus will release their self-titled EP debut on Friday 9th November on Matador Records. This illustrious trio is comprised of the most exciting and visionary young songwriters in independent rock, whose critically acclaimed albums were all released in the past year (Turn Out The Lights, Stranger In The Alps, andHistorian, respectively). To celebrate today’s announcement, boygenius has released a captivating triumvirate of new songs titled‘Stay Down’, ‘Me & My Dog’, and ‘Bite The Hand’. Listen via the links below. In early June of 2018, they practiced and wrote for a day before holing up in Los Angeles’ storied Sound City studios. Each brought one finished song and one idea to boygenius, and though all six songs were fleshed out and finalised together, each reflects the sensibilities of its initial author. Baker’s slow builds and taut vocals add urgency to ‘Souvenir’ and ‘Stay Down’, while album opener ‘Bite the Hand’ roils with slow-burning layers of guitar as Dacus stands in her devastating truth: “I can’t love you like you want me to.” The Bridgers-architected ‘Me & My Dog’ chugs into view with a deceptively simple open-road riff and Bridgers’ insistent recounting of a relationship that couldn’t help but fall apart. boygenius – boygenius EP is out November 9th via Matador Records / Remote Control Records.